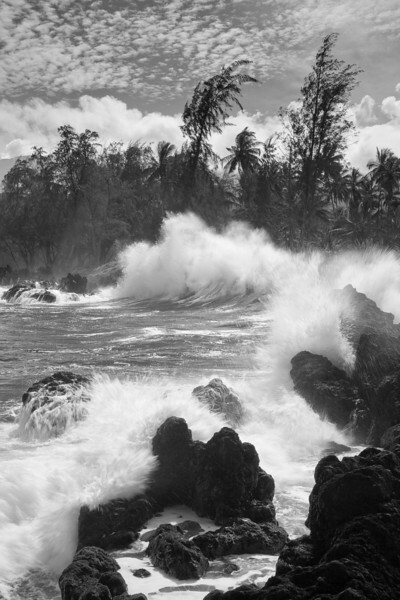 Huge, wind-driven waves crash upon a rocky shore. The power of these waves was incredible - I could actually FEEL the rumbling bass in the ground when they hit. don't know the terminology, but the dark frame of the trees and rocks draws my eye to the dramatically white frothy waves. OMG...this is art!